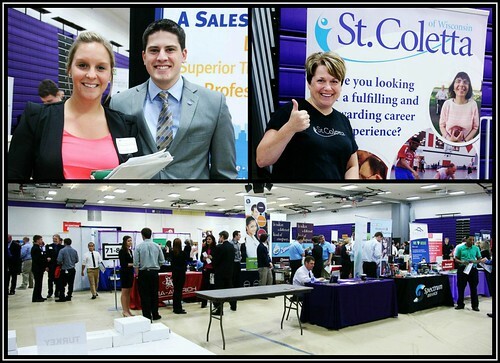 With the Hawk Career Fair upon us, what last minute preparations do you need to do to ensure you have a successful experience? Well, you’re 95% ready if your resume in tip-top shape, you’ve researched the employers attending and the jobs they seek to fill, and you’re business attire is ready to wear. Practice your introduction and handshake. This may sound a bit silly, but you don’t want to appear clumsy or unsure of yourself because the opportunity to create a positive first impression only comes along once. Practice, practice, and practice some more on what you plan to say when you introduce yourself. Practice alone, with friends, ask your teachers to listen to you, your adviser, anyone! You want to feel totally comfortable with what you’re going to say to recruiters so you can move effortlessly into the main reason for the conversation, to learn about employment opportunities. Practice helps. Check the weather. The forecast for tomorrow is sunny with a high of 70 degrees. Perfect. However, weather changes, so be aware of the forecast and know that it’ll probably be warmer than 70 degrees in Gym 1 during the fair. Give yourself some time so you’re not rushing and overly warm when you enter the fair. If you feel over-heated, take a moment to cool down so you feel at your best. Bring breath mints. One of the biggest complaints recruiters working career fairs have is close contact with people whose breath doesn’t smell the best. Since you’ll probably attend the fair between classes and other commitments on your busy schedule, make sure to have some breath mints with you to use before and during the fair. You don’t want to be remembered as “that” person after the fair. Now you’re 100% ready to have a great fair experience. Make a great impression and enjoy the moment! This entry was posted in Career Fair Strategies and tagged advice, career fairs, Hawk Career Fair by Ron Buchholz. Bookmark the permalink.